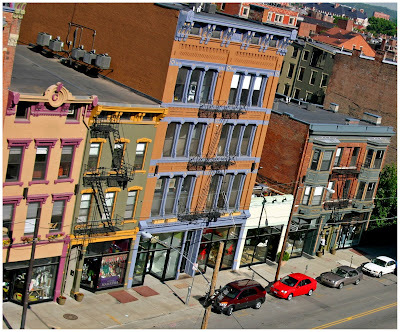 One of Cincinnati’s trendiest shopping districts is celebrating this Friday with “Vine-L Friday” in the Gateway Quarter located in the heart of historic Over-the-Rhine. The Vine-L event is a mid-summer clearance where store owners are offering discounts and discussing what’s to come with their new fall merchandise. The Little Mahatma will also be offering Tarot card readings from 5pm to 8pm. Discounts will vary from store to store, but the walkable shopping district makes for great window shopping and browsing from one location to the next. City Roots, Iris Book Cafe, Joseph Williams Home, The Little Mahatma, A Lucky Step, Metronation, Mica 12/v, Outside, Park+Vine and Urban Eden will all be participating. Stores in the Gateway Quarter are open from 11am to 8pm. To view the participating store’s websites visit the Gateway Merchants Group website. 3CDC (check out their new website) is also recommending that you make a night of it in Cincinnati’s center city by hitting up Vine-L Friday in the Gateway Quarter with some dinner at Lavomatic and live music from Bad Veins on Fountain Square that starts at 7pm. Next articleNola tearing down the elevated I-10 over Claiborne?